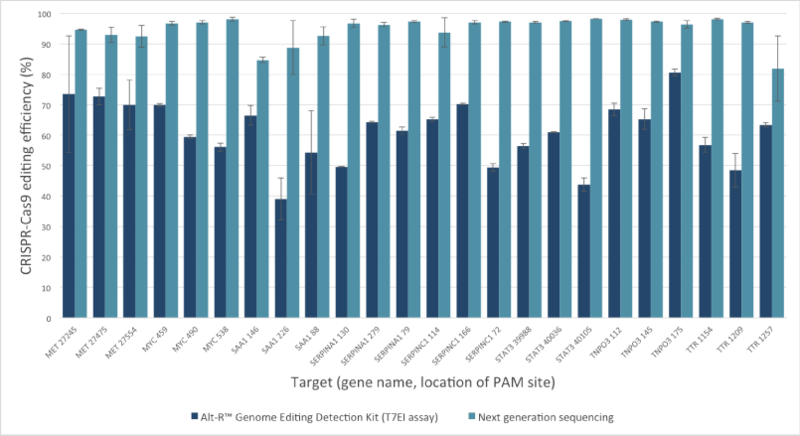 Which CE instruments shall I use for high-throughput CRISPR/Cas9 mediated genome editing study, especially I want to avoid enzyme cleavage step (which underestimates the mutation frequency)? There are two types of CE instruments for fragment analysis. However, only the ones with Sanger sequencing capability can match the requirements (e.g. ThermoFisher 3730xl). The comparisons are listed in the following table. It is recommended to use Google Chrome, Mozilla Firefox and Safari. I have different sample name formats, can I use the tool? Yes. You can do analysis with all kinds of sample name formats. However, the statistical analysis is only based on predefinded format, as described in the tutorial. I cannot see the Copy/CSV/Excel/PDF/Print buttons on the right top of the table, what shall I do? You need update your browser. 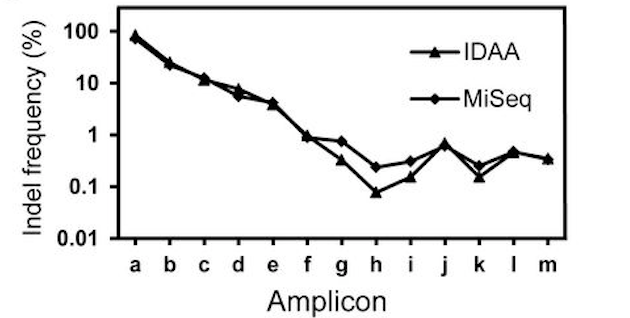 Can I print out or download the figure? Yes. There is an icon at the top right of each chart, click it, you will see the options. How to add new size standard to Peak Scanner? In the big window, put your size standard there, with comma separated for each size. And then click "Add Sizes >>" and “Save”. Now the new size standard will be listed in the drop down list of “Size Standard”. The similar approach is available for cloud version of Peak Scanner. I am a new user, how to design analysis set for my experiment data? Step 1: Review your data from GeneMapper or Peak Scanner, identify the number of fragments or peaks for analysis. For example, 3 fragments are considered as true signal in this case. 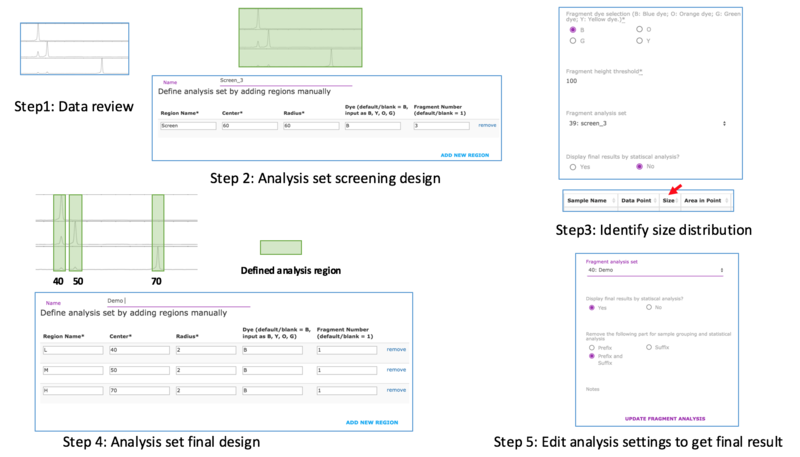 Step 2: Define universal screening analysis set. For example, if you use LIZ120 as size standard, you can define the screening settings as shown in the figure. It means in the region of from 0 to 120, the top 3 fragments (in terms of peak height) are selected for analysis. Step 3: Create Standard fragment analysis, analyze the data with the screening analysis settings. Click “Size” from data table to sort the size, identify the size distribution. For example, 3 major sizes are identified (40, 50, 70) in this case. Step 4: Create new analysis settings. It can be repeatedly used for the same experiment design in the future. For this case, there are 3 predefiend regions. For each region, the top 1 peak (in terms of peak height) are selected for analysis and calculation. Step 5: Go back to experiment, click edit, choose the new defined analysis settings and click "Update Fragment Analysis" to get final result.